Combine these simple ingredients for an easy, delightful winter meal or side! In a large skillet cook bacon over medium heat, stirring frequently, until crisp. 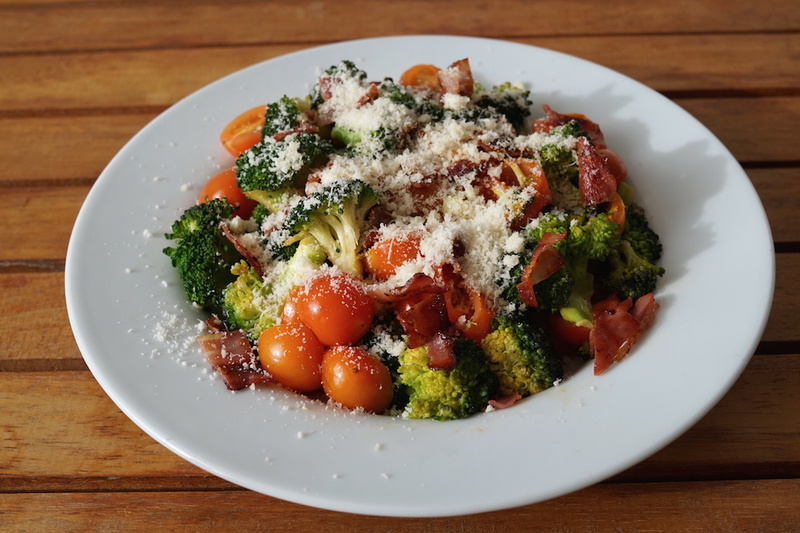 Top with parmesan and bacon and serve!